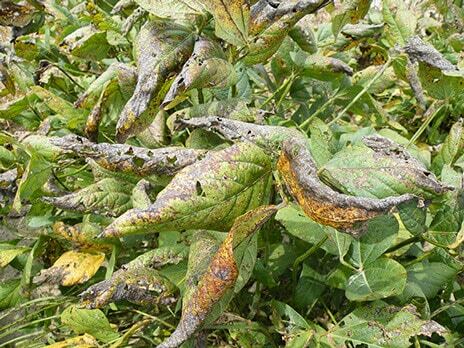 Cercospora leaf blight (CLB) is caused by a fungus (Cercospora kikuchii) which may come from infected seed and/or debris from previous crop. 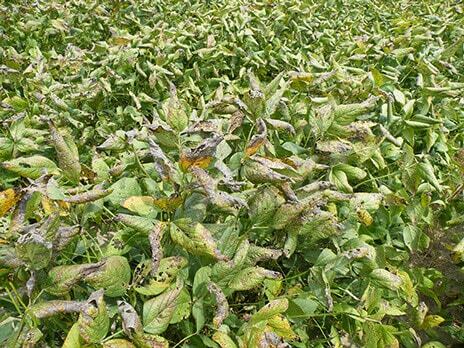 Upper leaves exposed to the sun develop light-to-dark purple areas, depending on variety. 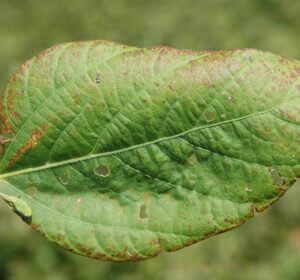 This discoloration can deepen and extend over the entire upper surface of affected leaves, giving them a leathery, dark, reddish-purple appearance, highlighted with bronzing and/or blighting. Symptoms do not usually appear until reproductive growth stages. 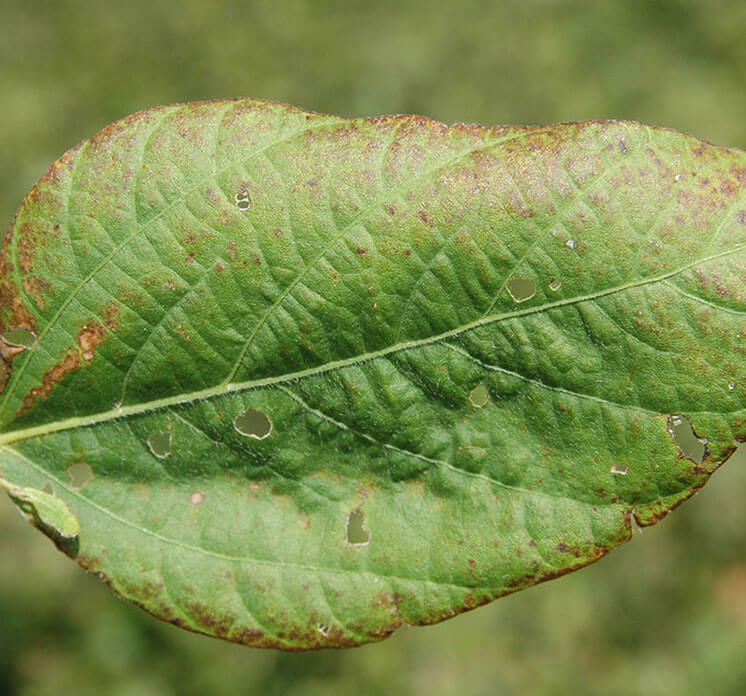 Numerous infections cause rapid necrosis (deadening) of leaf tissue, resulting in defoliation. 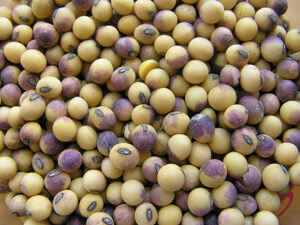 The same fungus causes purple seed stain which varies from pink or pale purple to dark purple. 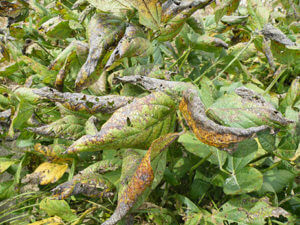 Infected seed may not show symptoms. 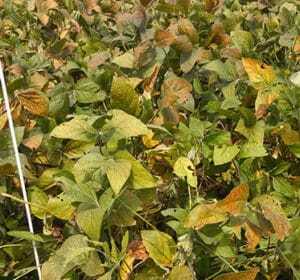 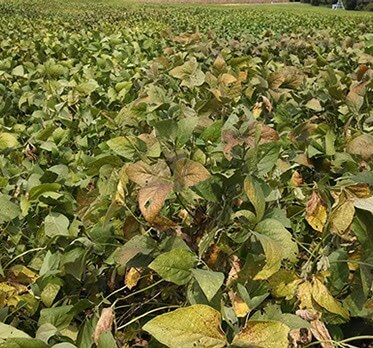 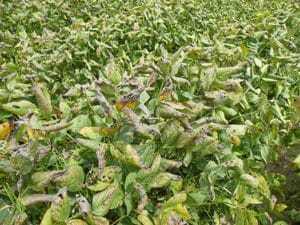 The fungus that causes Cercospora leaf blight (CLB), Cercospora kikuchii, has developed resistance to the QoI/Strobilurin fungicide group (FRAC 11) and the MBC fungicide group (FRAC 1). This means if a QoI/Strobilurin or MBC fungicide is applied to a field that contained the resistant fungus the disease will not be controlled and yield may be lost.